Do you want to love Hot Yoga? Have you found that the forced heat in a Hot Yoga room just isn’t for you? 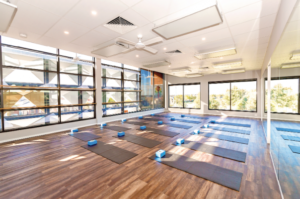 Hot Yoga with infrared heating may be just what you’re looking for! Infrared Heat is a PASSIVE heat, rather than heating the air like a furnace. Radiant heat, heats objects in its path which re-radiate the heat to other objects, which then re-radiate heat to the air. This is how the sun heats the earth. Our Studio is actually heated by Infrared panels installed on the ceiling. It isn’t heated by way of a ‘Hot’ light or a radiant forced heater. You can’t actually feel the heat penetrating your skin, unlike those heat lamps/lights or forced heaters. 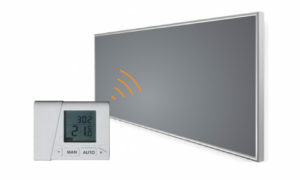 This ‘Infrared Heat Panel’ technology is much more superior and is used by professional Yoga studios worldwide. Infrared heat during your Yoga Practice can actually help to detoxify your body. This type of heat therapy may help in fat loss, chronic fatigue, water retention, skin disorders, as well as in the elimination heavy metals, poisons, and carcinogenic material from our bodies. Hot Yoga not only helps to detoxify your body. This type of heat therapy may help aid: fat loss, chronic fatigue, water retention, skin disorders, as well as in the elimination heavy metals and poisons. Whenever we process food, and particularly when we have processed unhealthy food or meats, our bodies create lactic acids and free fatty acids, as well as excess sodium and uric acid. For those who have skin problems, research has found that this type of therapy can help clean the liver and kidneys, instead of overworking the skin in processing our toxins out through the dermis. 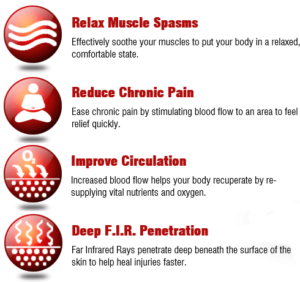 Infrared heat therapy, very gently increases blood flow by expanding the capillaries that carry blood. It also increases oxygenation and regeneration of the blood, deeply detoxifying it for the improved functioning of all of the major organs in the body, which depend on blood for energy. This detoxification is on the deepest level, allowing hidden toxins in the blood and tissue to be dissolved or immobilised. Through the subtle heating, the infrared heat boosts our immune system, increasing the amount of white blood cells and killer T-cells. It is an excellent therapy for promoting healing, reducing muscle soreness, muscle spasms and relief for rheumatoid arthritis. Infrared can also increase the processing enzyme activity in our digestive tract, as well as boost metabolism. An hour of this therapy can burn up to 900 calories. The rejuvenating effects of Infrared has been shown to help heal scar tissue such as burn scars, acne scars and other forms of dermatological scarring. The sweating quality that comes from Infrared Therapy truly helps us detox from the enormous levels of pollution in modern times. It also is crucial for pain relief and the reduction of inflammation. In conclusion, Infrared HEALS! 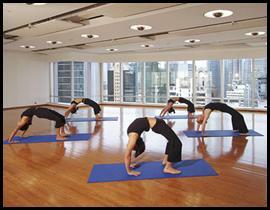 In addition to the benefits above, Yoga in an infrared headed room is comfortable, therapeutic, and safe. It is recommended that you attend 3 infrared heated classes per week for optimal benefits. Take a look at our Timetable to plan your next Hot Yoga session. Knowing you are going to soak up some infrared rays is just another reason to keep up a regular Yoga practice and maintain a healthy lifestyle.